Contoured heel cup for comfortable support. 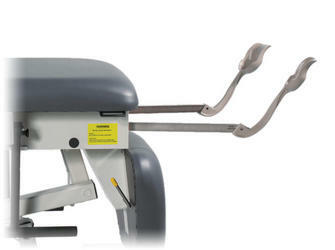 Re­tractable Stirrups expand function of the table to include endovaginal, hysterosonography, testicular, OB and more. Bottom cushion of the table drops out of the way for unobstructed access.